Does Hoërskool Kempton Park have the gees? Breakfast with Martin Bester is here to see first hand! Hoërskool Kempton Park is one of five schools selected to go head-to-head against each other for the grand prize of a massive party at their school worth a whopping R100,000. 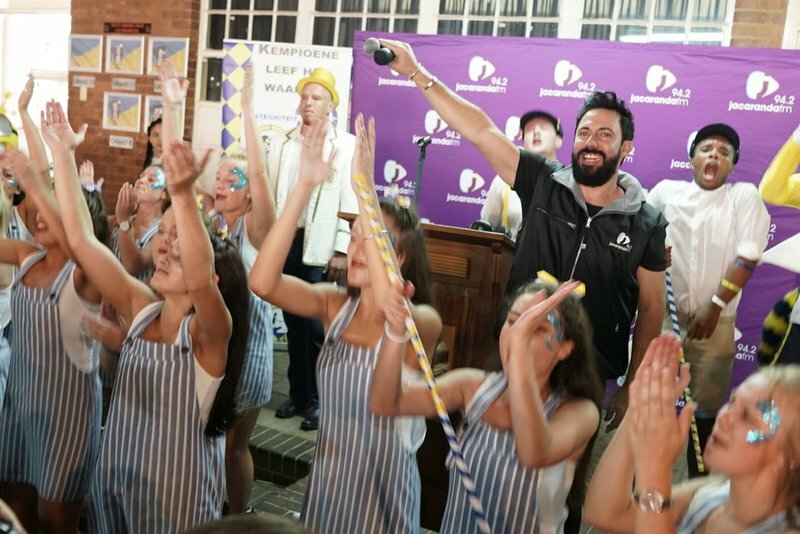 Breakfast with Martin Bester will broadcast live from each of the five schools, and on Monday morning it was the Kempies’ turn! Martin Bester drew up a ‘My School Rocks’ report card for Hoërskool Kempton Park. Breakfast with Martin Bester will visit Hoërskool Waterkloof, St Andrew’s School for Girls, Hoërskool Bekker, and Hoërskool Linden throughout the week.